There are many things to love about the game of golf. It’s great exercise, therapeutic, and a tremendous way to spend an afternoon with friends. It’s a sport that allows us to participate alongside others regardless of our level of skill—and still have fun. It reveals character and forces us to see our own humility when a potential birdie becomes a double-bogey. But it also can bring us together for more important reasons—like a good cause. 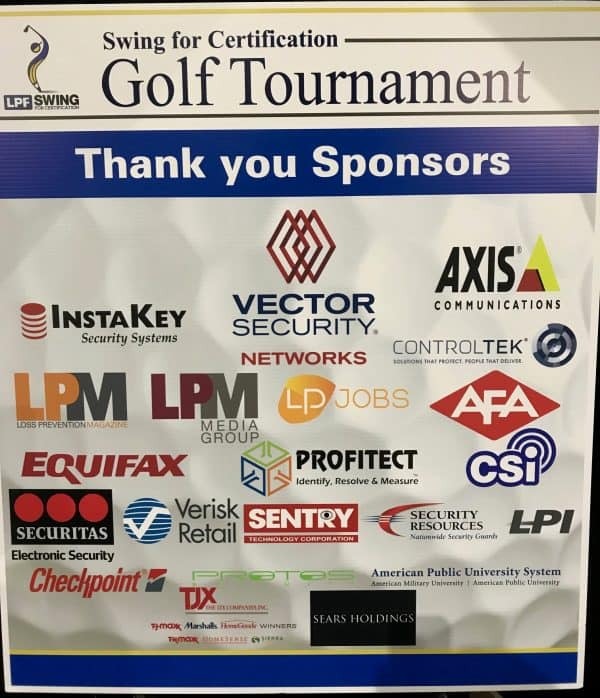 Yesterday in Dallas, the Loss Prevention Foundation hosted its first Swing for Certification golf tournament at the Bear Creek golf course on the eve of the NRF PROTECT conference, where more than 120 golfers and golf enthusiasts from across the loss prevention community gathered to have some fun and raise some money for a good cause, with all proceeds benefiting the Bob MacLea Scholarships for LPQ & LPC Certifications as well as the Loss Prevention Benevolent Fund. These types of events are always refreshing in many different ways. 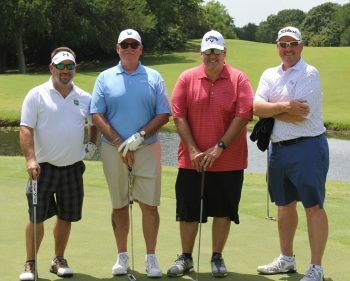 We watched as golfers with every type of skill set make shots from the fairways and the greens, bringing the team together and improving the group score. 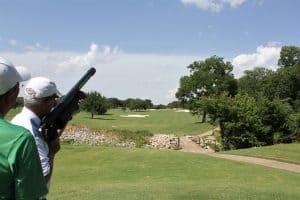 We took shots from golf ball cannons that could turn an impressive par 4 from the tee into a putt from the green—a shot that most agreed was their best of the day. We also enjoyed taking playful “shots” at each other for some wild outfit, playing the game in flip-flops, or a ball shanked into the woods. But we also had the opportunity to watch as others give back to the loss prevention community. We saw the power of the group provide more than 50 LPQ and LPC scholarship opportunities that will help others learn and grow as professionals, benefitting both the individual and the loss prevention profession as a whole by improving the knowledge and expertise of those who serve. 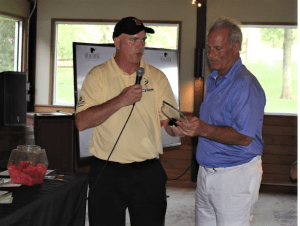 We saw the class of an industry leader who turned over the winnings of an $850 raffle drawing to charity. We celebrated as more than $5000 was raised for the Loss Prevention Benevolent Fund (LPBF) as well, providing critical relief to help support our colleagues and their families in times of exceptional need through our extended LP family. 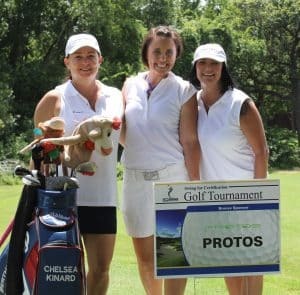 It’s easy to talk about the fun that’s had at these types of events—and it was definitely a day enjoyed by all that took part in Sunday’s event. But it’s more important not to lose sight of the real prize that comes out of days like this. By helping others, we help ourselves. We’ve all seen character reveal itself in many different ways at events such as this, and it’s great to see the possibilities that a true community can build. 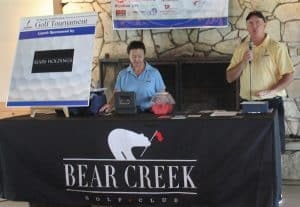 It was more than just the sun shining down on us at Bear Creek golf course on Sunday. Thank you again to all of the event sponsors!